Learn the basics of acoustic rock guitar in these 12 easy-to-follow lessons. 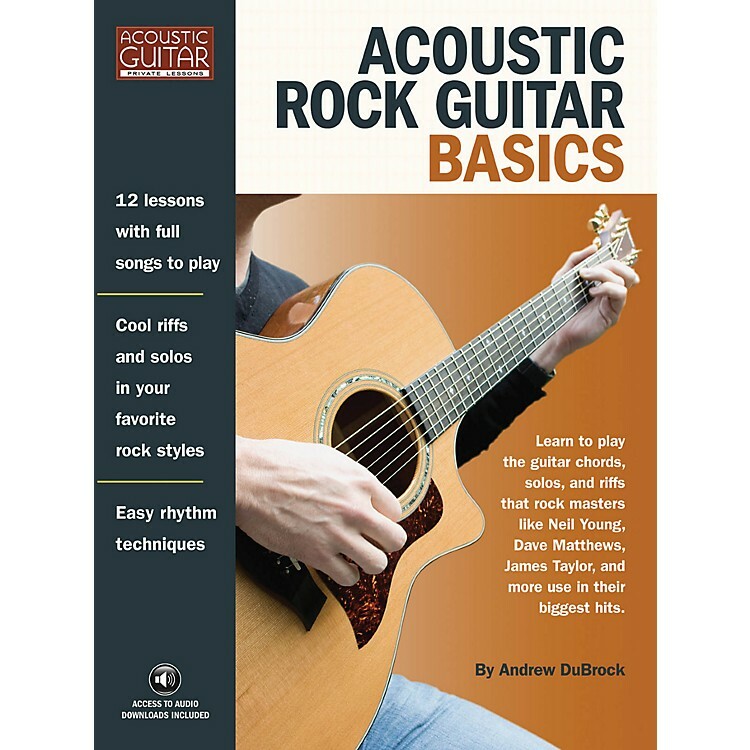 Featuring instruction on simple chord embellishments; creative uses of major, minor & pentatonic scales; and versatile techniques for playing rhythm, riffs & backup, this book is your guide to sounding like Neil Young, Dave Matthews, the Eagles, and many more of your favorite acoustic rock artists. Features exercises, riffs and full songs to play, with audio downloads for all. In standard notation and tab, with chord diagrams.